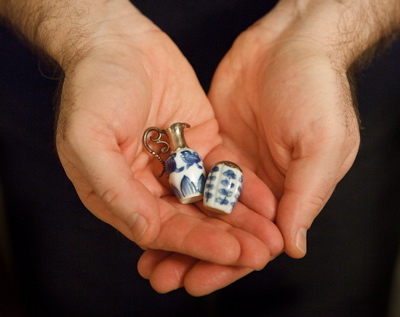 It’s the little things that matter most. Enjoy the Holidays! 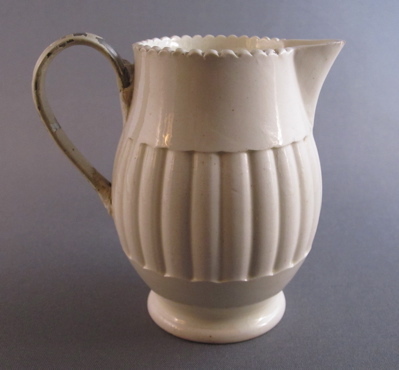 This small, lightweight ribbed creamware jug with gadrooned rim was made in England at the turn of the 19th century. 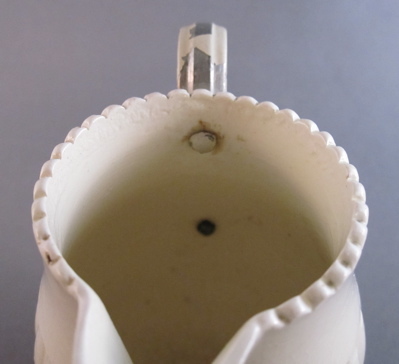 It measures 3-1/4″ tall and has a replaced handle made of aluminum, a material I rarely encounter on repaired items. 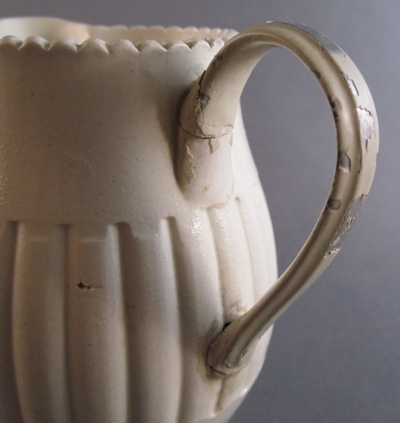 Two small rivets hold the handle to the body, which can be seen from the inside of the jug. 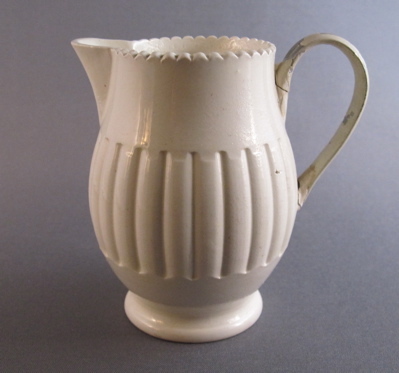 I am glad that some of the cream colored enamel, painted in the same color as the jug and intended to mask the early repair have chipped away, exposing portions of the raw metal underneath. 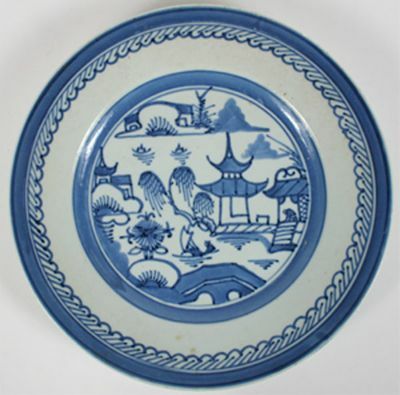 This Chinese porcelain plate started out life in the early 1800s with traditional blue underglaze Canton decoration. 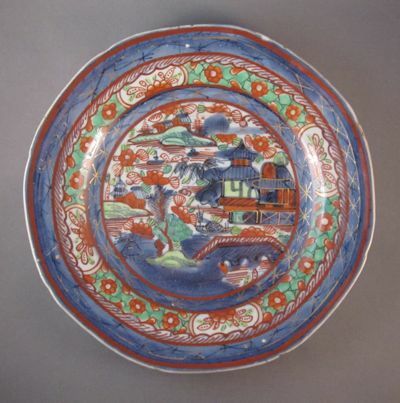 It was later painted over or “clobbered” with overglaze washes of red, green enamels and gilt highlights, without much thought to the original plate’s decoration. 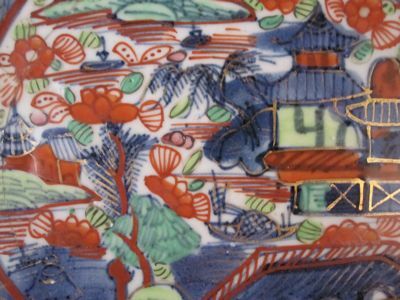 As the demand for more colorful wares increased throughout Europe, enterprising merchants painted over their slow selling blue and white ceramics. 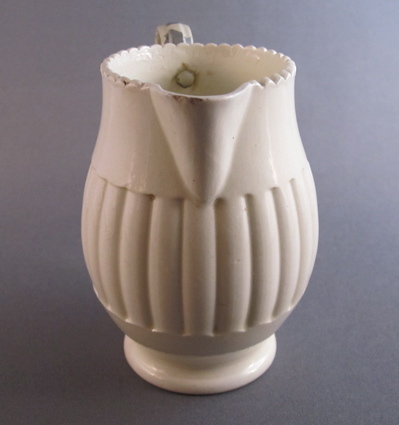 Much of the over decorating was done in the Netherlands, where the pieces were referred to as “Amsterdams Bont” (colorful wares from Amsterdam) . 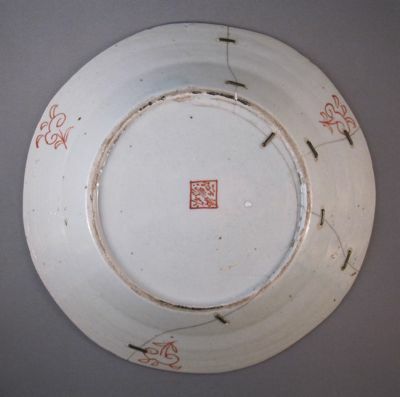 Plate measures 8-3/4″ in diameter. After the plate dropped and broke in to 4 pieces, it was made whole again by the addition of 9 metal staples. 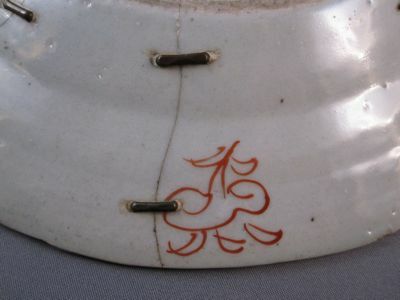 A “Chinese” mark on the bottom is actually part of the Dutch clobbered decoration. 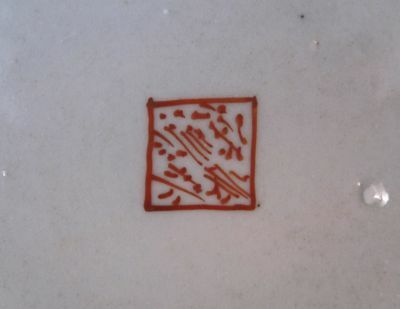 This Canton plate shows what mine looked like before it was embellished.